CLASSIC Join a Guided City Walk and see Altes Rathaus (Old Town Hall) and Porta Pretoria–built in 179 AD as the entrance to Castra Regina fortress. DISCOVERY Spend a free afternoon exploring Regensburg on foot or by bike through its charming streets. 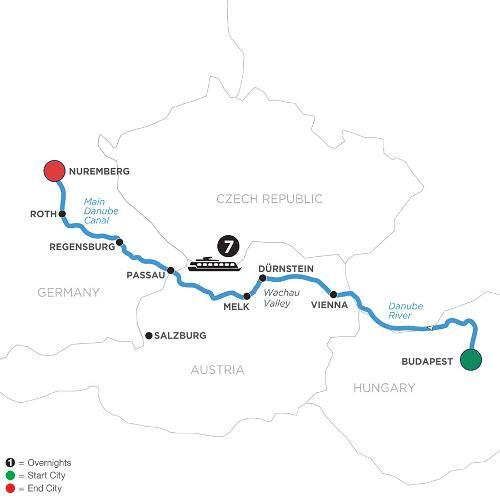 DISCOVERY Enjoy an Onboard Lecture about the Main-Danube Canal–linking these two rivers to make a vital connection enabling navigation between the North and Black Seas.